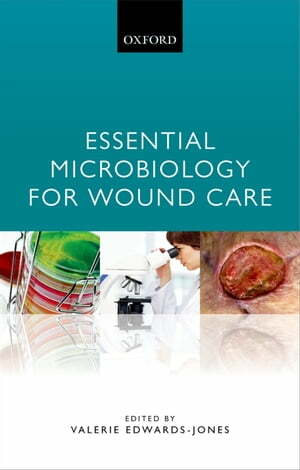 Collins Booksellers - Essential Microbiology for Wound Care by Valerie Edwards-Jones, 9780191025082. Buy this book online. Many healthcare practitioners understand the role microbiology has within the management of their patients, particularly when this involves wound care and the healing process. However, basic medical and nursing training does not always cover the microbiology of wound care in any great depth. Essential Microbiology for Wound Care is an indispensable reference aid that covers the key areas and science of microbiology from a point of view relevant to wound care practitioners wishing to enhance their skills. Written by specialists in the areas of microbiology and wound care, the book explains the basic science of microbiology and how it applies to wound care from simple infections to complex non-healing wounds, covering areas such as the diagnosis of infection, antimicrobial agents, virulence, and the treatment of infection, and infection control. Current thought in the field is also discussed, covering the improved understanding of the role of microorganisms and biofilms, newly-arising management strategies, and the increasing concern about the rapid development of antimicrobial resistance and how this may impact the administration of antibiotics in the future. Prevention and alternative forms of treatment in the field of wound care for the diabetic foot, burns, acute, and chronic wounds are also included. From the basic science to biofilms, Essential Microbiology for Wound Care provides a thorough understanding of the basic principles of microbiology in an accessible style that makes it a key reference in the field of wound care.